Steve graduated from the University of GA with a degree in Business and later received an MBA from Vanderbilt University. He joined Merrill Lynch in 1981 as a Financial Advisor. 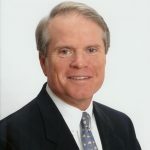 By 1984 he was managing a successful branch office for Merrill Lynch in the Atlanta market and he has continued to manage offices in the Metro area for 26 years. Steve’s focus has been marketing and business development for his entire career and this will continue to be his focus for Atlantic Wealth Consultants.